Last night J.C. Penney (JCP) issued an SEC Filing indicating that Pershing Square Capital Management was selling its entire stake in the company for what was later reported to be $12.90 a share. It was an ignominious conclusion to the deeply weird partnership between J.C. Penney and Pershing Square founder Bill Ackman. Ackman purchased just under 40 million J.C. Penney shares for his Pershing Square hedge fund at an average cost of $25. If those prices are accurate it means Ackman and Pershing Square lost just under $500 million. 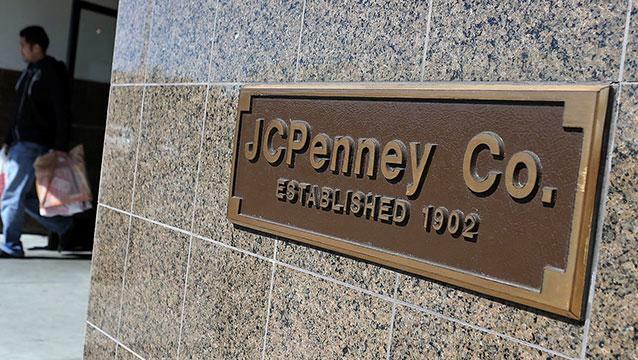 In human terms that works out to about $14,000 for each of the full or part-time jobs lost at J.C. Penney as the company downsized to compensate for a 25% drop in revenues. Despite his undeniable success investing in other sectors, Ackman has been a disaster in retail. Pershing Square also lost a reported $200 million on his 40% stake in Borders and an expensive proxy-fight with Target (TGT) in 2009. In a letter to Pershing Square investors last week, Ackman confessed "clearly, retail has not been our strong suit and this has been duly noted." For all his brilliance it's obvious that Bill Ackman didn't know or particularly respect J.C. Penney's core customer. Ackman is a 47-year old billionaire who grew up in leafy Chappaqua, New York. More than half of J.C. Penney's customer base is over 55 and 19% make under $35,000 a year. Even to his hedge fund buddies Ackman comes across as arrogant. To real human beings Ackman is an alien life-form. Great merchants love their customers. Even after he made billions, Sam Walton spent most of his time hanging out at Walmart (WMT) stores firing up the troops. Walmart employees and customers loved "Mr. Sam" and the feeling was mutual. Now try to picture Bill Ackman stuck in an elevator with a 60-year old resident of Plano, Texas who makes $32,000 a year. The bet here is that Ackman would be frantically clawing at the red "emergency" button inside of five minutes, and if he wasn't the customer would be. Bill Ackman will never make money investing in retail because he doesn't understand that it's not about spreadsheets. It's about customers. The first marketing campaign of the Bill Ackman / Ron Johnson era was 30-seconds of shrieking customers; a not so subtle dig at them for their obsession with trying to find bargains in a department store. In retrospect it wasn't an ad-campaign at all. It was a cry for help.